Fun, creativity, imagination… it’s just a few of the many great moments from 2018. Check the video and scroll below to discover more. In 2018, we achieved what we set out to do. We stabilised the business, we grew modestly, and invested to create sustainable growth in the long-term. We will build on this momentum as we continue to invest in innovative products, retail channels and new markets to reach more children. With LEGO® Technic we like to state that you build for real. And to prove this, we decided to build a car. The first ever life-size and drivable LEGO Technic Bugatti Chiron model, able to accelerate to over 20km/h. with some magical LEGO® sets. to endlessly build and rebuild their favorite models from real life. 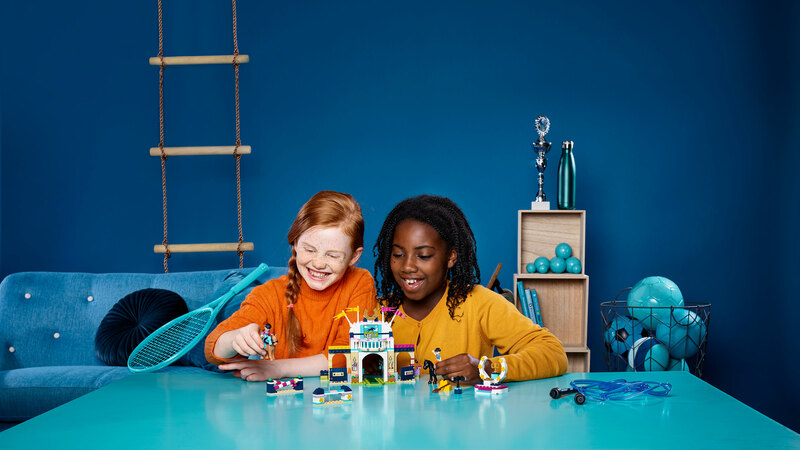 LEGO® BOOST lets children create models with motors and sensors, teaching them the basics of coding, engineering or robotics, as they bring their creations to life through simple, icon-based coding commands. The free LEGO BOOST tablet app includes easy step-by-step building instructions for creating and coding multifunctional models. 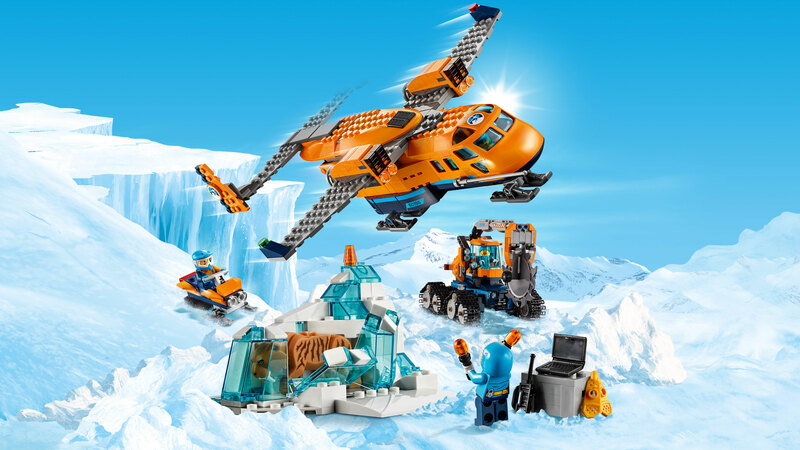 There’s a dinosaur for every age with the exciting LEGO® Jurassic World™ play sets featuring cool vehicles, heroic characters, iconic buildings, laboratories, scientific equipment and more. The LEGO® brick has endless creative potential – the only barrier is imagination! Brick by brick, children’s creativity is nurtured with LEGO® Classic. Sets contain ideas to help them get started, and they are fun for the entire family. Early coding has never been so fun! With the new LEGO® DUPLO Train featuring action bricks, children can bring life to the train as they get introduced to early coding and learning colors, while the companion app promises fun activities, bridging both physical and digital play. We believe children are our role models. Their in-built sense of curiosity, imagination and resilience inspires us every day – and is something we believe everyone can learn from. We know that play is vital to every child’s development. When children play, they learn to solve problems, to be creative, and to become resilient. It helps them thrive in a complex and challenging world. In commissioning the LEGO® Play Well Report, our aim was to help us all better understand what the simple, instinctive act of playing means today: the way it’s evolved, the benefits it brings to the individual and families, the barriers that get in the way and how we can protect it. We encourage readers to use the insights, engage in the conversation around what playing well means and further explore the research areas addressed to continue to understand how we better encourage and equip children and families with the tools, time and space needed to prioritise and protect play. The report is a global research piece representing parent and child perceptions on the benefits of family play, children's play preferences, future-oriented skills, digital child safety, and learning through play. Findings were gathered from a total of 9,249 parents with children aged 1.5-12 years old, and 3,723 children aged 5-12 conducted across nine markets (China, Denmark, France, Germany, Mexico, Russia, Saudi Arabia, United Kingdom and United States of America) between February and March 2018.
business principles across the company. The day all LEGO® employees stop working – to play! As a company that inspires children through play, we strive to make every day at work more playful and fun. It’s why we also have LEGO® PLAY DAY, which aims to reconnect all our colleagues with our purpose and values. Currently, more than 3,700 LEGO® employees of more than 50 nationalities work at the headquarters in Billund, Denmark, covering a broad range of functions from manufacturing to product development. The new office building will be a unique work place fostering creativity and collaboration across the organization. The LEGO Campus building will have an architectural shape to provide optimal daylight conditions for the total office space. Furthermore, the building is constructed to ensure low energy consumption and to enrich the structure with internal yet outdoor green courtyard areas. Can play benefit engagement and wellbeing at work? To test it, we carried out a first of its kind pilot experiment investigating the impact of play in the workplace. We measured the effect of different kinds of play on the physical, social, cognitive, creative and emotional skills of five LEGO® employee volunteers, while having lots of fun in the process. We want to play our part in helping build a sustainable future and make a positive impact on society and the planet, which children will inherit. We believe we have a responsibility to minimise the environmental impact of our operations and aim for zero environmental impact on the planet. trees, made from plant-based polyethylene sourced from sugarcane. The #BuildToGive campaign turned creativity into gifts of goodwill for half a million children around the world. Today, the majority of LEGO® packaging, by weight, is cardboard or paper-based which is recyclable, sustainably sourced and certified by the Forest Stewardship Council. Our aim includes replacing single-use disposable plastics and finding recycled or sustainably sourced bio-based materials for the plastic based packaging. Play helps all of us imagine and create a better, brighter world for children. Working with our partners and local communities, we will continue to do our very best to nurture these builders of tomorrow, their environment and communities. The partnership with Tencent will bring safe digital LEGO® experiences to Chinese children and seeks to increase the awareness of digital safety among children and parents in China. Our Responsible Business Principles contain 12 principles relating to ethics, people, children and the environment, with the primary purpose of ensuring workers involved in the production of LEGO® products are treated with respect and the environment is safeguarded for future generations.